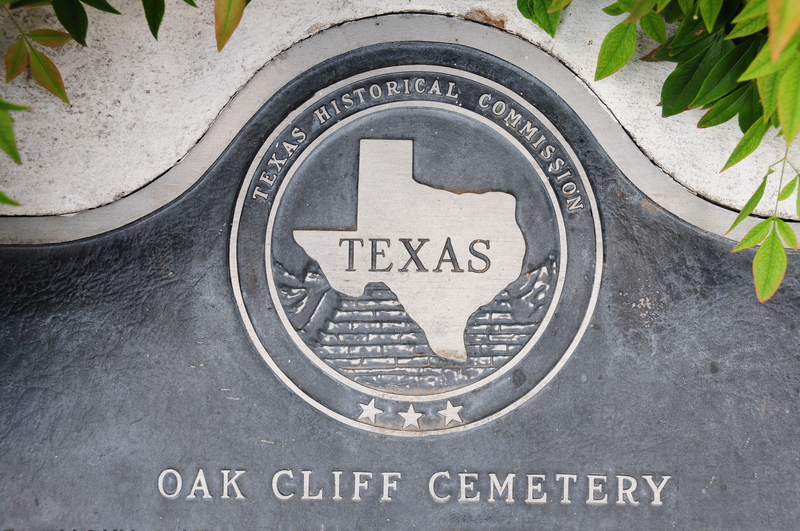 The Oak Cliff Cemetery is generally considered the oldest public cemetery in Dallas County, dating back to the 1830s when William Beaty settled here in a vast wilderness with the Trinity River only a short distance away. Today, the Cemetery sits is the shadow of the downtown Dallas skyline. The oldest marked grave is that of the infant Martha Wright, who died on July 16, 1844. The cemetery fell into disrepair in the 1940s and early 1950s. To remedy this situation the Oak Cliff Cemetery Association was formed in the late 1950s. The Association is governed by a volunteer board of trusteeswho see to the upkeep of the common areas of the cemetery. Since the cemetery is not a perpetual care cemetery, individual families maintain their own family lots. Lots in the Cemetery have not been for sale for many decades. Burials are rare, and only conducted when a surviving member of a long-established family plot dies. Click here for more information on our burial policies. The Cemetery is located at 1300 East 8th Street in the Oak Cliff section of Dallas, across the street from Townview High School. Here is a map to the Cemetery. Come visit! Please note that the postal service does not deliver mail to the Cemetery itself; for our mailing address, see Join Us. The Cemetery relies on contributions of time, talent and money from surviving families and others who love the Cemetery. Please let us know how you can help! See Join Us.